The margins in Florida's races may be too wide for a recount to reverse. There’s a running joke among election officials in November: pray for the margins to be wide. In the 2018 midterm elections, Florida voters didn’t answer those prayers. 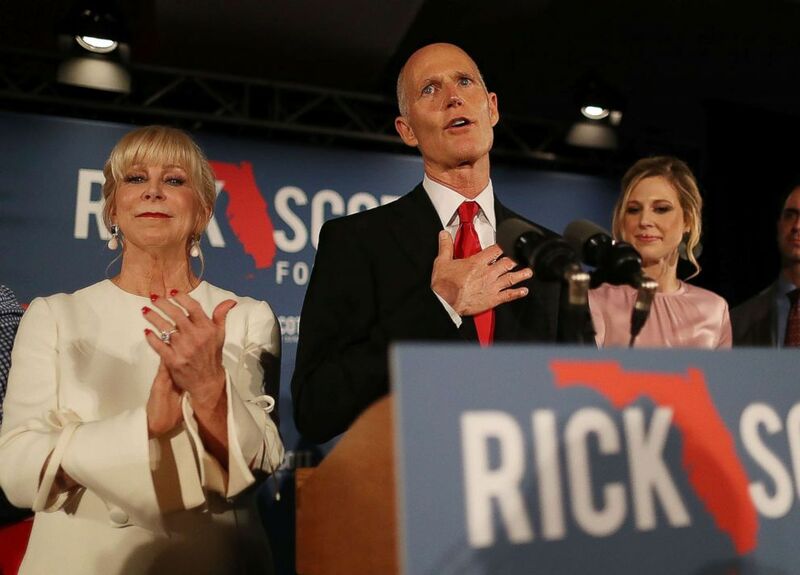 But as recounts progressed toward a conclusion in three statewide Florida races, including the races for U.S. senator and governor, experts say those margins, as narrow they may seem, likely won’t reverse the Election Day results. Out of more than 4,600 statewide general elections between 2000 and 2015, there were 27 statewide recounts — three of which resulted in reversals, according to FairVote, a group that advocates for electoral reform. In other words, recounts are rare. Recounts that end in reversals are even rarer. And if any of them end in reversal, O’Brien said he’d want to “really dig in” to find out why they became such outliers, suggesting potential reasons that would change the scope of the election, like systemic failure with ballot reading. "It would be way beyond what we’d seen of the reversals of the past." One known difference already sets Florida apart: the more than 8.3 million votes that have been counted so far. "None of the recounts we’re looking at had votes that big," O'Brien said. "And from what I know of the elections that did result in recounts, I don't know if they had the number of issues reported in Florida," he said, referring to lawsuits over vote counting in Broward and Palm Beach counties. The three cases of reversals after recounts cited in the report involved the races for Senate in Minnesota in 2008, auditor in 2006 in Vermont and governor in 2004 in Washington state. "That being said, things would have to be extremely different from the races we’d looked at," he said. Ned Foley, a law professor at The Ohio State University who wrote a book documenting disputed elections throughout U.S. history, also spoke to the rarity of a reversal. “If we focus specifically on statewide races, it's absolutely true that it's very rare to overturn,” Foley said. It’s also rare to see a recount in the first place, Foley explained, nevermind three of them in one state — but Florida fits the bill for such a situation, he said. “In a battleground state, this is more likely to arise,” he said, and predicted that increased voter targeting would only increase the purple-ish tint of the state. “Both sides are more sophisticated in their messaging so it stands to reason that we’re going to have closer elections in the world we live in now than we had in the 20th century, and I think this year is evidence of that,” Foley later added. The reason recount reversals are so rare, both Foley and O’Brien explained, is because, generally, vote margins don’t swing by more than a few hundred votes in statewide recounts, which isn’t usually enough to change the winner. In the case of Florida, the Senate race differed by 12,562 votes heading into the recount. The margin was bigger in the gubernatorial race: 33,684. Not only would many more votes have to come in during the recount to have a big impact on the current numbers, but the votes would have to lean almost entirely toward one candidate, Foley said. “My instinct is its extraordinarily hard to overcome a lead of 10,000 or more, unless you tell me something about the nature of the ballots that have yet to be counted — unless you tell me why they would break so favorably for the candidate who was behind,” Foley said. According to O’Brien, the margin shift in Florida would have to be more than 20 times bigger than what they saw in other races where there were recounts for a reversal in the governor’s race — and around 10 times bigger for the Senate race. And yet, the rhetoric from both Republican and Democrat camps would have voters believe the stakes are much higher. 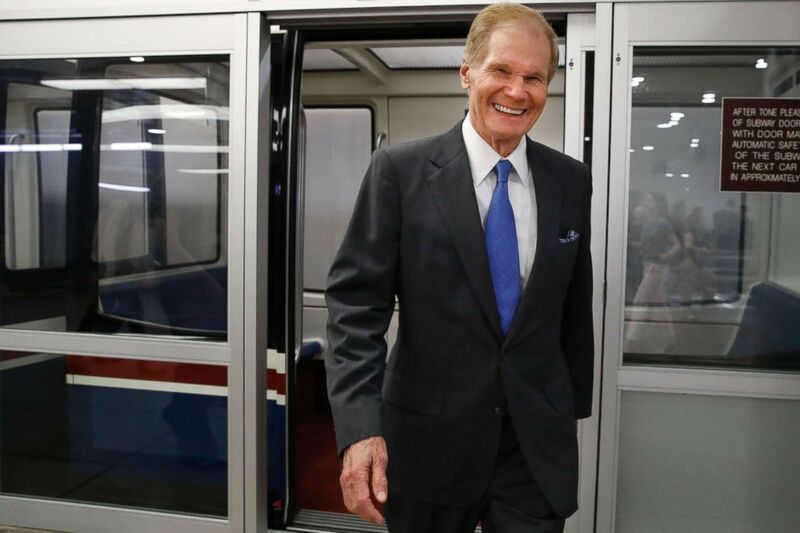 (Jacquelyn Martin/AP) Sen. Bill Nelson exits the Senate subway en route to a vote on Capitol Hill, June 20, 2018, in Washington. The president also weighed in. “Trying to STEAL two elections in Florida! We are watching closely!” he said in one tweet, without details or evidence. And the number of lawsuits in Florida, from both Nelson and Scott’s campaigns, match the degree of rhetoric. Reports out of Palm Beach and Broward County, both Democrat-leaning counties, increased politicization of the ballot counting, further proving the need for neutrality, Foley said. “What’s happened so far this week is troublesome, and I’m concerned about what it means when we have to go through this two years from now when the presidency is on the line,” he said. Which brings up another benefit of a recount, beyond solidifying a winner or reinvigorating an opponent: assuring people that the election played out the way it was supposed to. “It’s good for people to figure out what went wrong in the election so lawmakers and policymakers can make changes to make sure those don't happen again,” O’Brien said.